Choosing to sell a home "For Sale By Owner" is not working very well these days. I certainly understand wanting to save money. This is a very tough economy and every dollar matters to most families, so don't for a second think that I don't understand why somebody would try to sell a home without having to pay for a REALTOR. I get it. I understand. Trying to save money is wise, knowing how to do it might be a whole bunch tougher than some people might think. 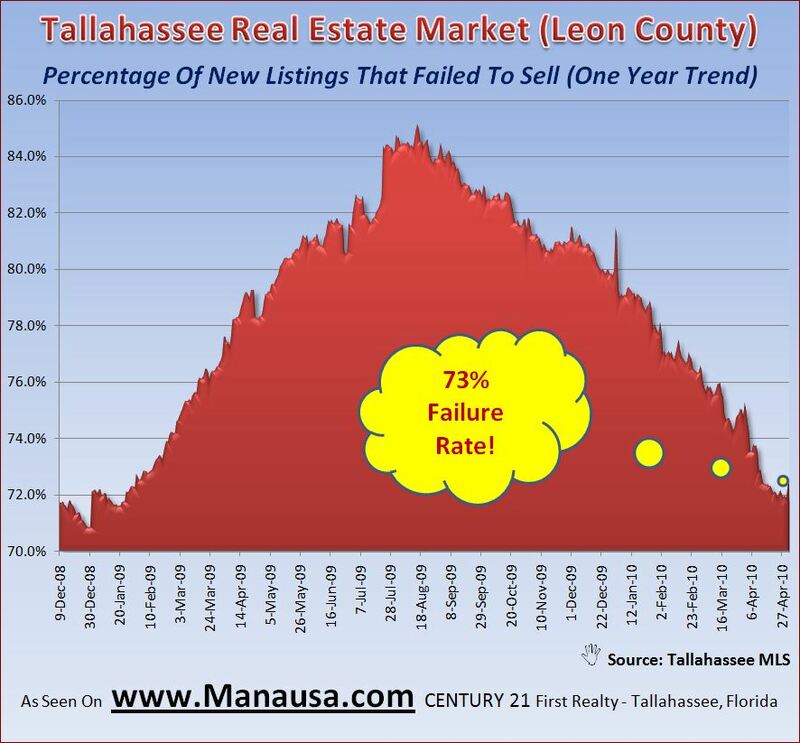 For our regular visitors here at the Tallahassee Real Estate Web Site, it is known that currently 73% of the homes that were listed for sale last year failed to sell. That's right, 3 out of 4 home owners who thought they were going to sell their home ended up going the whole term of their listing agreement and failed to get a contract. Why could that be? The fact is, home sellers currently outnumber home buyers. It is a very competitive market for home sellers, and only the very well informed and prepared are finding success. Knowing how to get it done using the internet is critical (to which 73% can sadly attest). But most our readers already know this, so what prompted me to write on this topic today? I received the following "marketing" material yesterday from a "For Sale By Owner." Sadly, this is so flawed, in so many ways, that I felt it would provide for solid educational material for people considering selling a home in Tallahassee. If any of your clients wants to buy a house please bring them by, I will pay 2% at closing. Mass spamming REALTORS is a good way to get solicited by people wanting your business (they want to list your home), but they are not going to buy it. There is no compelling message about the property here. Why would I want to know more? This message is all about the seller, where is the benefit to me or a buyer? Good marketing is based upon reader benefits, not writer benefits. The closing line is the best. This seller is telling me that there are 5,400 homes in the MLS that will pay a higher commission than he will pay. The year is 2010, and people are not standing in line to buy a home. Sure, five years ago a sign in the yard was all it took, but .... that was five years ago. Because I decided to use this spam as my focal point today, I went ahead and clicked through to check out the house. 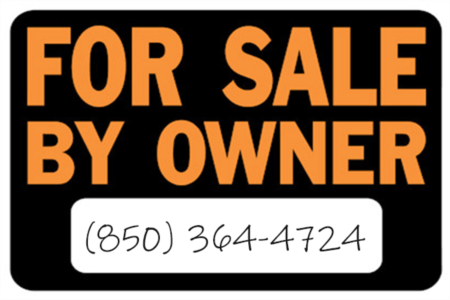 Again, the "For Sale by Owner" put himself at a gross disadvantage in this very tough market. What did I find? There were no compelling reasons listed to purchase the home. The market was Joe Friday "just the facts, ma'am." There was no virtual tour, which we know increases views on the aggregate sites that this is listed on. Most "For Sale By Owners" are overpriced because the real estate agents they spoke to wouldn't put the home on the market at that price ... because buyers won't buy at that price! Don't let this be you! If you are highly motivated in needing to sell your home, sit down with an expert in the housing market and do what it takes to sell your home. If you are not highly motivated, stay out of the market so that we can find a balance between supply and demand. With 73% of sellers failing to sell their home, we really don't need 1 more homeowner testing the market! *Joe Manausa Real Estate is a brokerage company headquartered in Tallahassee, Florida. Its unique business model provides specialists to both home sellers and home buyers, and the results speak for themselves. JMRE has significantly more 5-star reviews on Google than any other local competitor. Joe Manausa Real Estate is a leader in internet marketing and utilizes search engine optimization, email marketing, social media, and data analytics to get their clients’ home sold faster and for more money than any other Tallahassee brokerage firm. For more information, visit www.manausa.com or call us at (850) 366-8917. I don't see any difference in their marketing efforts compared to 95% of the realtors out their taughting their "marketing plans"..... throw it on the MLS, place a few ads in the local paper that nobody reads anymore, host an open house that nobody attends and then suggest we "lower the price". You may be the odd man out and if so that's great but in general realtors don't have a clue either, they'll take overpriced listings just to "get" the listing. ... by the way virtual tours are so outdated and a waste of time, buy a "flip" and get creative! I agree Chris. That is why the failure rate is so high. The fact is, the internet has changed the way we successfully market properties. Being on the internet has no value. Being at the right place, and at the right time, makes all the difference in the world. I really enjoy the blog, Joe. Keep up the good work! This was an interesting article. I understand the value that a realtor brings but sometimes there is a place for the do-it-yourselfer. I think you recognize that too. I recently sold my house "by owner" in about two months. I think it sold because of it's location and unique character, which is why we decided not to use a professional in our marketing efforts. We were told repeatedly by multiple realtors that we would have to cut the price $30k or more or we would never sell. This was not the case and we were able to get our asking price. I think a big cause for the friction between realtors and homeowners is the commission inflexibility. Some realtors are willing to be flexible in this regard but most are not. Not every home selling situation needs (or gets) a lot of money and time invested on the realtors part. A friend recently sold her home to a family member who was trying to help after the home was listed for 12 months with no offers. The realtor demanded her commission because, "times are tough." A coworker sold her home recently listed by a realtor in a few days...only soon to find out afterwards that it was priced too low for the market. No wonder it sold so quickly! When confronted about the pricing advice, the realtor acknoledged she underestimated the market but wouldn't budge on her full commission. Maybe the above incidents are isolated and the realtors mentioned above are the exception. But a little flexibility would go a long way in bringing perception and reality more in line. It's hard to think of a professional service industry that hasn't had to cut their commission/fees to suit business conditions over the past few years.